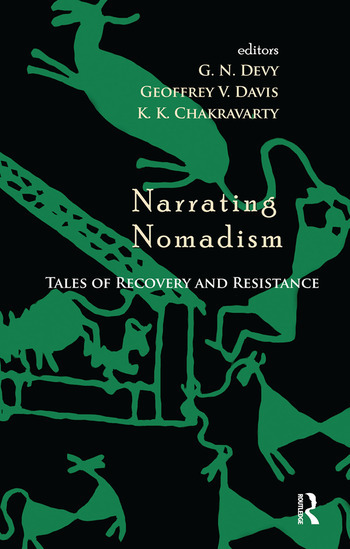 Narrating Nomadism provides an unflinching account of ethnic groups and nomadic communities across the world that were branded as ‘criminal’ during colonial times. It explores the tragic effect of the new identity imposed on them, the traumatic survival of these communities and cultures, and the creative expression of this experience in their arts and literature in the form of resistance. Presenting specific contexts and locations of cultural devastation in history, the volume traces colonial social imagination as such, showing how the grossly misperceived non-sedentary communities in the colonies were subjected to the mission of ‘settling’ them. The essays presented here document these alternative histories from perspectives ranging from literary criticism and art history to ethnography and socio-linguistics, highlighting in what ways different nomadic communities negotiate discrimination and challenge in contemporary times, while finding remarkable convergence in their local histories and collective testimonies. This anthology opens up a new area in postcolonial studies as well as cultural anthropology by bringing the viewpoint of marginalized communities and their cultural rights to bear upon history, society and culture. It places an activist’s ‘view from below’ at the centre of literary interpretation, engages with oral history more substantially than folklore studies usually do, and brings together several historical narratives hitherto unexplored. This will be essential for students of anthropology, sociology, cultural studies, history, linguistics, post-colonial studies, literature and tribal studies, as well as the general reader. G. N. Devy is Professor, Dhirubhai Ambani Institute of Information and Communication Technology, Gandhinagar, and Founder, Bhasha Research and Publication Centre, Baroda (Vadodara), Gujarat, India. Geoffrey V. Davis is Chairperson, European Association for Commonwealth Literature and Language Studies (EACLALS). K. K. Chakravarty is Chancellor, National University of Education Planning and Administration (NUEPA), New Delhi, and Vice Chairman, Delhi Institute of Heritage Research and Management, India.